Freshley Squeezed Review: Woohoo! Yasu 2.9! Humans are creatures of habit. And if you use computers, there are some habits that you MUST develop. Obviously, backing up all of your data is first and foremost. Then you have maintainance. Removing duplicate files, for example, to make for more hard drive space. But other under the hood jobs include clearing out and cleaning up cache files, running cron jobs, repairing permissions and such. But your average user (family members come immediately to mind) can cause themselves lots of trouble due to lack of knowledge as how to perform such tasks. If only there was an app that was quick and easy to use. 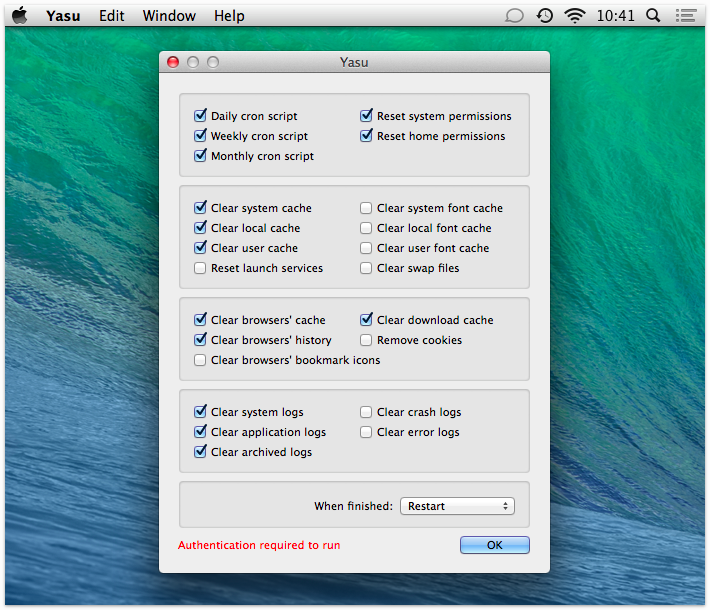 “Yasu is a Macintosh application which allows users to easily run many of the system level Unix shell scripts that perform maintenance routines as well as clearing many of the cache files used by OS X. And after a brief development hiatus, Yasu has been upgraded to to work with Mavericks. 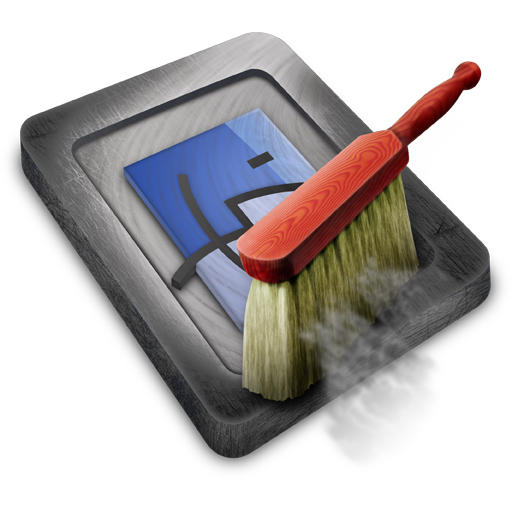 Yasu is an acronym for “Yet Another System Utility.” It was developed by IT professional Jim Mitchell to save himself time when cleaning up machines that he maintained at work. Yasu allows you to accomplish with the click of a single button what would take some time using terminal commands. Download. Install. Select from over two dozen or so actions that you want performed. No terminal, just a single click! And I can honestly say that it has never failed me over these many, many years! It’s now one of my daily habits. Every time I choose to shutdown my MacBook Air, I run Disk Utility and finally, Yasu. Now, everything is nice and clean when I boot in the morning. As much as Mac is the computer “for the rest of us,” there has always been some necessary maintenance that needed to be performed. As it has grown UNIX under pinnings, there is even more to take care of. Even if you’re not a power user. Yasu can help you lighten that load. This entry was posted on Tuesday, May 6th, 2014 at 11:47 pm	and posted in Welcome. You can follow any responses to this entry through the RSS 2.0 feed. « Review: What’s Your Desktop’s Flavour?